You've bought your telly, your satellite box is keeping it company and you've just got a blu-ray player to finish off the set. Don't leave your cables out in the cold, give them some style with our complement of sockets for HDMI, USB, Satellite and Audio. We offer media ranges of most popular Retrotouch, Click and Hamilton ranges. There are also Cat5 ethernet and telephone sockets to make sure your wall looks just as smart as your new smart television. 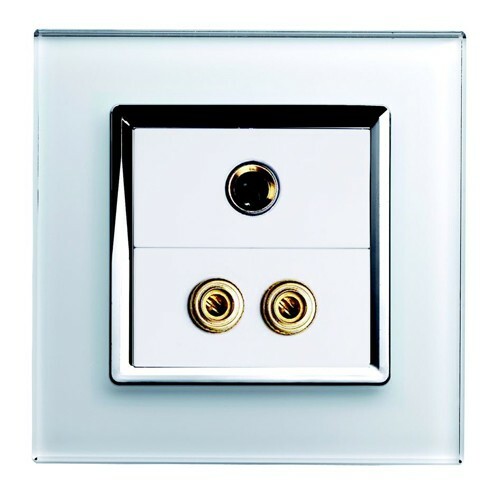 If you are after the more bespoke switch setup then you can go modular with blank faceplates also matching our popular switch and socket lines. Once you have tidied that up, don't forget to browse our cable tidying solutions.